Fonterra's new chief executive Theo Spierings has expereince in both the international dairy sector and farmer co-opertives. The strong Dutch influence on New Zealand’s dairy industry continues with the recent appointment of Fonterra’s new chief executive Theo Spierings. 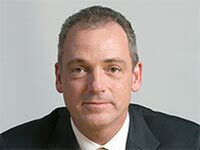 Spierings – from Holland – replaces outgoing chief Canadian Andrew Ferrier, who will step down in September after been at the helm of Fonterra for the past eight years. The new chief will join current chairman, and son of Dutch immigrants, Sir Henry van der Heyden at the top of New Zealand’s biggest company and the world largest dairy exporter. New Zealand’s dairy sector has had a long association with the Dutch. Many immigrants from Holland came to this country in the 1950s and were attracted to the dairy sector due to its potential for rewarding hard work. This tradition continues today, with recent Netherlands arrivals such as Willy Leferink and Aad van Leuuwen becoming major players in this country’s dairy industry. Spierings appointment may raise some questions about the depth of talent at the co-op and in NZ business in general. It may even provide a political platform for more xenophobic types like Winston Peters to query why a local has not been appointed to the role. However, most rational people will see it is a good thing that Fonterra has attracted an international leader of the calibre and experience of Spierings to lead NZ’s biggest company into its second decade. Spierings not only has experience in the international dairy sector, but also working with dairy farmers in a co-operative model. He was chief executive of Royal Friesland Foods and presided over that company’s merger with Campina to help form one of the world’s largest dairy co-ops. This kind of international dairy sector experience and an understanding of farmer politics make him an ideal candidate for the Fonterra role. Van der Heyden, and the others on the co-ops’ selection team, who chose Spierings should take a bow. It is an inspiring choice and we can look forward to the double-Dutch act taking Fonterra ahead during its second decade. 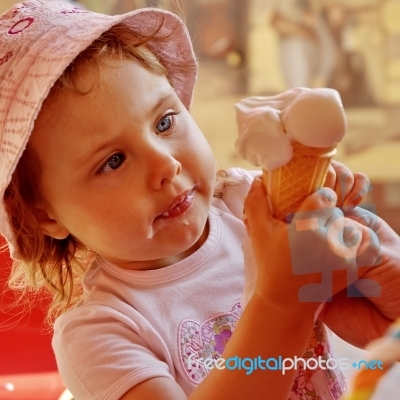 The Fonterra Shareholders Council's Labour Day free ice cream giveaway is a good chance for farmers and townies to start bridging the rural /urban divide. While at risk of starting to sound like a stuck record, I am still hot on the topic of the rural sector better engaging with the general population about how important it is to New Zealand’s future. There is no doubt that both Fonterra and DairyNZ should get more on the front foot, take on the role of ‘cheer leaders’ and relay the good news on dairying to the community. However, they also have to acknowledge where problems occur – ie water quality problems and ever increasing milk prices – and show how the industry is addressing such problems – especially in the case of the former. Meanwhile, other farming sectors such as meat, wool, kiwifruit, cropping et el all need to be out their proactively promoting their industries as well. Currently, in the dairy sector, there is a vacuum which is being filled by environmentalists piling pressure on the industry and farmers to lift their game on sustainability. At the same time, consumer groups frustrated at increasing milk, butter and cheese prices – while farmers enjoy a record payout – complain about being ripped off. Inevitably this has seen opportune politicians playing the envy card and claiming farmers don’t pay enough tax. All this does is further drive a wedge between rural and urban New Zealand and lead to more discontent from both sides. So it is good to see this view starting to get picked up in wider circles – both from the industry and by government. Carter is adamant Fonterra and the dairy industry must be more proactive rather than merely reacting to criticism in the news media. Meanwhile, Finance Minister Bill English told farmers at the recent South Island Dairy Event (SIDE) the Government was willing to help Fonterra overcome “the disconnect with urban New Zealanders”. English pointed to the sheer size of Fonterra and noted every New Zealander is affected by its decisions. But he urged Fonterra shareholders not to get too negative about the criticism. DairyNZ chief executive Tim Mackle agrees the industry needs to engage with the public and politicians on sustainable dairying, but lift on-farm performance at the same time. Fonterra chairman Henry van der Heyden last month told a Smaller Herd and Supply Herds conference in Northland the co-op had lost its connect with urban New Zealanders. English says there are clearly tensions between Fonterra and the public over environmental issues. Fonterra Shareholders Council chairman Simon Couper recently told Dairy News that he agrees about the need to have the community behind both farmers and the industry. 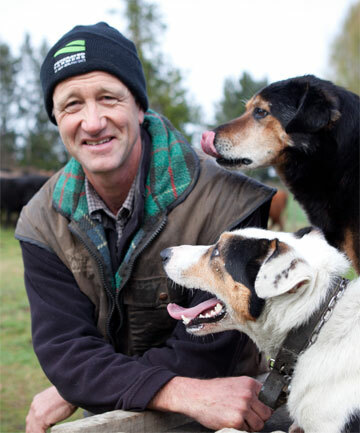 He says farmers are not there to destroy New Zealand’s environment or tarnish the country’s image on the world market. As part of its efforts to win over the community, Fonterra is throwing a birthday shout across the country on Labour Day (October 24). “While it will not change the world, we hope to get those without a good understanding of the industry to know us a bit better,” Couper says. He’s right, it won’t change the world. But at least it is a step in the right direction and is exactly the kind of thing that will foster better relations between rural and urban NZ. So I look forward to getting a free Jellytip on Labour Day and seeing farmers and townies chatting with each other. That has got ot be positive. It’s used to describe the act of misleading consumers regarding the environmental practices of a company or the environmental benefits of a product or service. However, the greenwash term has been hi-jacked by the pro-environmental lobby – usually accusing companies, organisations or even countries of not living up to their ‘clean, green, sustainable’ expectations. Many a hard working organisations – especially in NZ’s agricultural productive sector – have suffered the disdain of smug, eco-warrior-types who regularly deride the environmental merits of their products and/or systems. More often than not, the primary sector has had to listen to sanctimonious lectures from the Green Party, Greenpeace, Soil and Health NZ – or some other ecological do-gooding group – accusing them of unleashing all sorts of environmental damage on our country. Regularly these groups call for the wholesale conversion of NZ agriculture to organics – claiming it is the only way for the country to go to save us both environmentally and economically. So it was with a sense of schadenfreude to hear that people are being greenwashed into thinking that certain types of technology-intensive agriculture are not environmentally friendly. A recent Australian Farm Institute conference heard how relieving world hunger and ensuring food security are inextricably linked to adoption of new technology. According to Roger Cady, Elanco’s sustainability leader who spoke at the conference, if global food production has to double by 2050 – as suggested by the UN’s Food and Agriculture Organisation – then 70% of this increase in production will have to come from new technology due to limitations in land and natural resource availability. “Consumers are constantly being misled about the impact of some types of agriculture, and this is often biasing their food choices,” Cady says. He says it is easy for people to be swayed by impressions and intuition – without considering the science, productive efficiency, and environmental impact per unit of output. Meanwhile, Brett Stuart, from US agricultural analysis company Global AgriTrends, told the conference that most consumers did not understand the social implications of perceived “socially-responsible” purchasing. “Organic, locally grown, free range, and other anti-technology production methods typically increase the use of water and feed resources, and can lead to higher greenhouse gas emissions,” he says. According to Stuart says it is actually “socially-irresponsible” to impose choice-restrictions on producers which then lead to higher food costs, felt mainly in the third world. Actually because lower technology production is less efficient per unit of output, it inevitably contributes to the record food prices we are currently experiencing and pushing millions of people around the world into food-insecurity. “Utilising technology effectively, will mean that while we need to double agricultural production by 2050, we will only occupy 13% more land to do it than was used in 2008,” Stuart says. Now; that’s food for thought for all those pushing their sustainable organic barrows! Can new president Bruce Wills convince Fed Farmers it is only part of the solution to bridging the rural urban divide and not the whole answer? Federated Farmers has elected Hawke’s Bay sheep and beef farmer Bruce Wills as its new president. The farmer lobby’s much-hyped four-way contest for the top job gained a lot of media attention. However, the newly-elected Wills will have more to worry about than nursing the bruised egos of the unsuccessful candidates – such as how to make the organisation much more relevant to wider New Zealand and how it fits into the big picture of representing and speaking for the rural sector. This follows on from accountancy firm KPMG’s recent calls for urban dwellers to gain a better understanding of the rural sector. KPMG’s business advisory arm makes this recommendation – among a raft of other suggestions – in its recently released report on New Zealand’s primary industry Agribusiness Agenda 2011.
organisations within New Zealand ‘Inc’ realise and understand the importance of the agribusiness and rural sector to the economic well being of our country, many others – especially urban dwellers – do not. Feds’ new president would do well to study KPMG’s report. It is based on interviews with more than 80 agribusiness leaders and says the rural/urban gap is a risk to the future development of the country. The interviewees’ had numerous explanations for this disconnect including: an ethnically mixed urban population with little or no family link to farming; mainstream media focussing on negative issues about the agriculture sector such as animal welfare issues and water quality standards in dairy regions. However, the report also points out that the agricultural sector must foot some of the blame for this divide. It says a lack of openness from the industry has led to urban dwellers to believe they are not getting the full story. This is a fair point; as is its suggestion that the onus must go on the rural sector itself to take on the job of educating and informing the rest of the population as to how the industry operates and the economic benefits it generates for the country. Wills and his new Federated Farmers board won’t like the underlying assertion of Agribusiness Agenda 2011 – although not overtly spelled out in the report – that it’s time for a new, pan-sector rural lobby group. New Zealand’s agribusiness sector currently has a wide and diverse group of organisations and lobby groups – including Federated Farmers. Yet despite the sector’s size, resources and undoubted importance to the country’s economic well-being, it is unable to speak as one, unified sector voice on matters. This is because all the different, specific interests of the various bodies that make up NZ agribusiness and a lack of a recognised sector organisation that can speak on all of its behalf. Thus making it almost impossible for a clear, united and unambiguous agribusiness sector view and making it much easier for critics and opponents to pick on different areas. Feds and its newly elected president might not like it, but there is considerable upside in having an independent, unified sector advocate organisation. 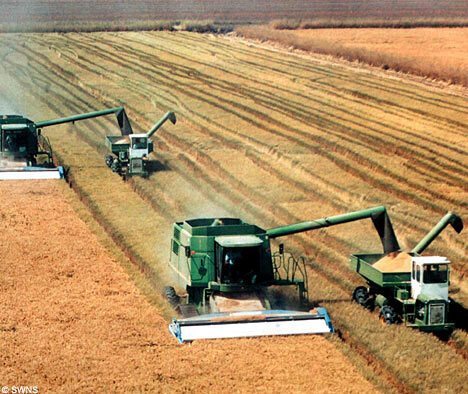 It is time for the agribusiness sector to seriously look at forming such a body. Bruce Wills will have his work cut out making Federated Farmers understand that the farmer lobby has a part – but only a part – in helping represent the agribusiness sector making it relevant to the wider population.